On October 15, President Barack Obama announced a change in the plan regarding the U.S. troops that are currently in Afghanistan. The original planhad been to reduce their number by half before the end of this year and withdraw the rest by 2016, leaving only enough to protect the embassy. Now, as the President said, the U.S. will “maintain our current posture of 9,800 troops in Afghanistan through most of next year, 2016.” Critically, he also added that the troops’ “mission will not change.” That is regrettable. American efforts in Afghanistan, through two consecutive administrations, have resulted only in seeing the war worsen and American interests deteriorate. If ever there was a time to change the mission, it is now. Who Are Southeast Asia's 'Lost' Generations? The theme of ‘lost generations’ is relevant across Southeast Asia, a region besieged by decades of civil war, foreign invasion, military dictatorship, and economic underdevelopment over the past half century. In Myanmar, the ‘missing’ generation refers to young people who were deprived by the military regime of the right to political participation in the 1990s. The junta shut down many universities after the 1988 student uprising which forced students either to quit school or seek refuge abroad. Political science programs wereremoved from the curriculum which the military blamed for the rise of activism in the country. After a decade, there was already a shortage of skilled labor. Furthermore, a new generation emerged with little or no exposure to democratic politics. The youth and first time voters in this year’s historic general election belong to this generation. Ships that pass in the night, and speak each other in passing. Passing, harassing, and shadowing in the case of Chinese vessels meeting U.S. warships. 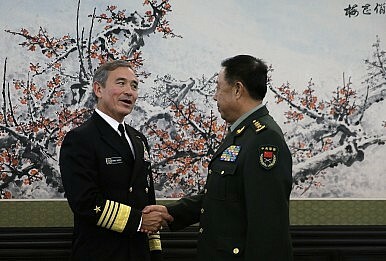 Such exchanges comprise the unfortunate core of U.S.-China military-to-military (“mil-to-mil”) engagement. China’s harassment of the USNS Impeccable in 2009 and USS Cowpens in 2013 are but the most prominent cases of its persistent belligerence in the South China Sea. This tactically aggressive behavior from the People’s Liberation Army-Navy (PLAN) reflects a grander expansion strategy emanating from Beijing. From new Chinese passports with the infamous nine-dashed line, media trumpeting Chinese claims over Japanese-governed Senkaku Islands, and maritime occupation of Scarborough Shoal, China’s maritime expansion is the well-orchestrated foreign policy of the Chinese Communist Party through its national ministries. After enjoying rapid development for nearly 40 years, China is at a turning point in terms of both economic growth and social development. In this series, Dr. Xue Li examines the five most critical challenges and potential pitfalls China faces today. 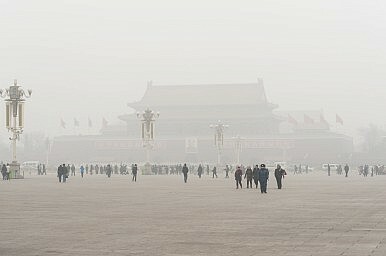 Environmental pollution is the great challenge that China must face during its next stage of development. Everyone has gradually come to realize this, though some local governments persist in taking the view that development must have top priority. Other localities however, are already willing to sacrifice some economic development for the sake of the environment. Even some of China’s less-developed regions are consciously choosing low-pollution means of economic development. From the experience of developed countries, we know that remediating pollution problems and restoring the environment is possible but expensive. That means China’s environmental problems, to an extent, can only be solved by further economic development. Chinese President Xi Jinping wrapped up his brief tour of Southeast Asia on Saturday, after spending two days each in Vietnam and Singapore. Xi’s stop in Singapore was largely overshadowed by the historic meeting between Xi and Taiwan’s President Ma Ying-jeou at the Shangri-La Hotel on Saturday. But Xi’s trip to Singapore wasn’t all about cross-strait relations; rather, it was part of Xi’s attempt to mend China’s image in the Southeast Asian states – many of which have concerns over China’s actions in the South China Sea. While Singapore is not a claimant in the South China Sea disputes, the city-state has a vested interest in making sure the maritime tensions don’t spill over to poison diplomatic relations among the Southeast Asian states and China. 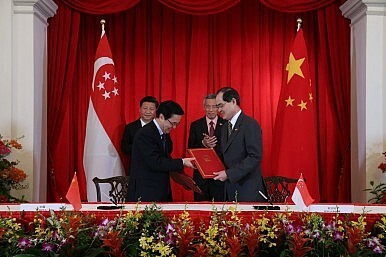 Along with Indonesia, Singapore has tried to play the role of neutral mediator, but often found its efforts blocked by China’s insistence that the disputes can only be handled bilaterally. Singapore has continued to raise its concerns about the disputes, with Prime Minister Lee Hsien Loong warning in his remarks at this year’s Shangri-La Dialogue that a new approach is needed. “If the present dynamic continues, it must lead to more tensions and bad outcomes,” Lee said. Japanese vessels will be allowed to make port calls in a Vietnamese naval base facing the South China Sea next year, the two countries agreed following defense consultations November 6. 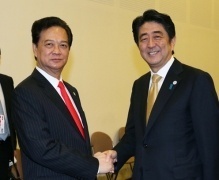 According to Japanese media outlets, Japanese defense minister Gen Nakatani and his Vietnamese counterpart Phung Quang Thanh agreed during a meeting in Hanoi that Japan Maritime Self Defense Forces (MSDF) vessels will be allowed to make port calls in Cam Ranh Bay, a deep-water harbor in central Vietnam that is alongside the South China Sea. Hanoi is currently building a facility for foreign vessels which is scheduled to open next year. Japanese officials also reportedly said they hope that the port call will occur sometime in 2016. The agreement comes as Japanese security forces have been increasing their activities in the South China Sea amid simmering maritime disputes there to which Vietnam is a claimant. The MSDF participated in a humanitarian drill with the United States and the Philippines off Subic Bay in August and held an exercise with the U.S. Navy north of Borneo last month (See: “Interview: The Future of U.S. Military Exercises in the Asia-Pacific”). 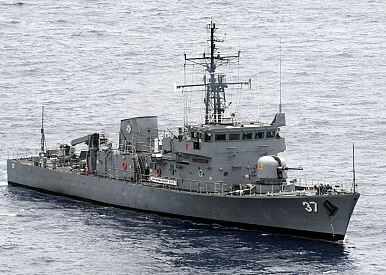 Separately, Japan is also currently seeking a visiting forces agreement with the Philippines–another South China Sea claimant–that would make it just the third nation to get access to Philippine military bases following the United States and Australia (See: “Japan, Philippines Seeking New Pact on Military Bases”). The Xi-Ma summit is a game-changer. After 66 years of separation, the leaders of the People’s Republic of China and the Republic of China held a meeting in Singapore, sending shock waves throughout Asia and beyond. Already, commentators and scholars are trying to gauge the impact of this historic meeting on China and Taiwan’s future (see here, here, and here). Despite their attempts, most fail to understand the larger historical implications of the summit. For a starters, most analysts were quick to point out the possible calculations behind the summit. One persistent aspect is how much Xi and Ma would gain politically. Such analyses are not necessarily wrong, but they do overlook the historic nature of the summit, thus hugely underestimating the potential meaning of this summit. After all, this is the first time for leaders from both sides to shake hands and sit down and talk with each other as equals. Both Xi and Ma reemphasized the “One China Principle” and the “1992 Consensus.” If nothing else, this joint-statement alone could bring the Nobel Peace Prize to these two brave and visionary leaders. 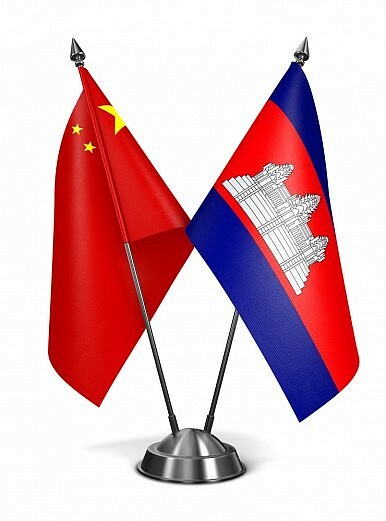 China and Cambodia agreed to boost their military ties following a meeting between their defense ministers on November 6 in the Cambodian capital Phnom Penh. According to Cambodian Defense Minister Tea Banh in remarks after consultations with his visiting Chinese counterpart Chang Wanquan, China agreed to provide Cambodia with further military assistance to boost the capabilities of the Royal Cambodian Armed Forces. Though specifics of the assistance remain unclear, Banh, who is also a deputy prime minister, indicated that it includes telecommunications and radio equipment from China to improve Cambodia’s ability to communicate across all command headquarters. It also reportedly involves continued Chinese assistance in training and constructing military academies as well as increased exercises and exchanges. Banh also reportedly confirmed that Cambodia had received a man-portable surface-to-air missile system (MANPADS) from China but said Phnom Penh was “not yet satisfied” with it. He also indicated that Cambodia was looking for longer-range hardware beyond the shoulder-fired surface missiles that China had already delivered. No further details were given, however, about the types of equipment the Southeast Asian state is seeking. The eyes of the international community were turned to Singapore this weekend for the “historic” summit between President Ma Ying-jeou of Taiwan and Xi Jinping of China—the first direct contact between the leaders of the two sides since the creation of the People’s Republic of China in 1949. Eager to portray the unprecedented meeting as a potential game-changer, some commentators flirted with hyperbole: an eighty-second handshake had reversed six decades of hostility, realizing common hopes that, we were told, would propel relations across the Taiwan Strait in an entirely new and hopefully peaceful direction. All of this, however, was overhyped by media that thrive on dramatics. In reality, the meeting was a distraction that is unlikely to fundamentally alter the face of politics between the two countries. 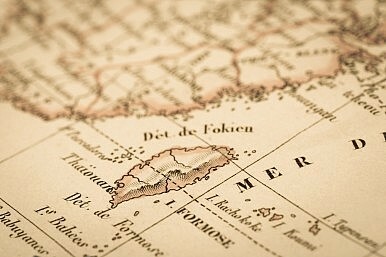 It was certainly tempting to regard the summit as a milestone in cross-Strait relations, especially among latecomers to the issue, who may not have had all the information they needed to fully grasp the hugely complex relationship that exists between China and Taiwan, the democracy of twenty-three million that Beijing regards as a mere breakaway province awaiting “reunification” and the significance (or lack thereof) of the meeting. US naval manoeuvres and Chinese activities in the South China Sea reflect a new big power game in which regional countries are caught in the middle. ASEAN members need to stay united to overcome the pressures from both powers, before the South China Sea truly turns into a playground for the giants. On October 29, 2015, the Permanent Court of Arbitration based in The Hague ruled that it has jurisdiction to hear the case brought by the Philippines against China over disputed islands in the South China Sea. This unfavourable, albeit expected, verdict for China coincidentally took place a few days after Washington sent a guided-missile destroyer, the USS Lassen, to patrol within 12 nautical miles of the Mischief and Subi reefs. These reefs have been central to China’s controversial reclamation activities in the South China Sea. How should we expect the United States and China to respond to these developments? Ongoing developments over maritime territorial disputes in the South China Sea create a conundrum for Southeast Asian governments, especially littoral states with claims or interests in those waters. Events are increasingly heightening tensions between different sets of interests that these regional states have. China’s extensive reclamation works in disputed waters and American statements surrounding its recent Freedom of Navigation Operations (FONOPs) in the same seas further complicate such matters for actors in Southeast Asia. The comprehensive nuclear agreement between Iran and the P5+1—the five permanent members of the United Nations Security Council plus Germany—was signed on July 14. A few days later, the United Nations Security Council issued Resolution 2231 endorsing it. October 18 was “adoption day” for the agreement, the day both sides began laying the legal groundwork for carrying out their obligations under the agreement. In particular, the European Union and the United States began the legal process of lifting economic sanctions against Iran. Led by President Hassan Rouhani and Foreign Minister Mohammad Javad Zarif, Iran’s moderates and pragmatists have been trying to open their country’s gates to the outside world. Believing that the shadow of war has been lifted, they are trying to attract foreign investments, normalize Iran’s relations with the West and in particular the United States, and move the nation’s political system toward a more inclusive and open one. 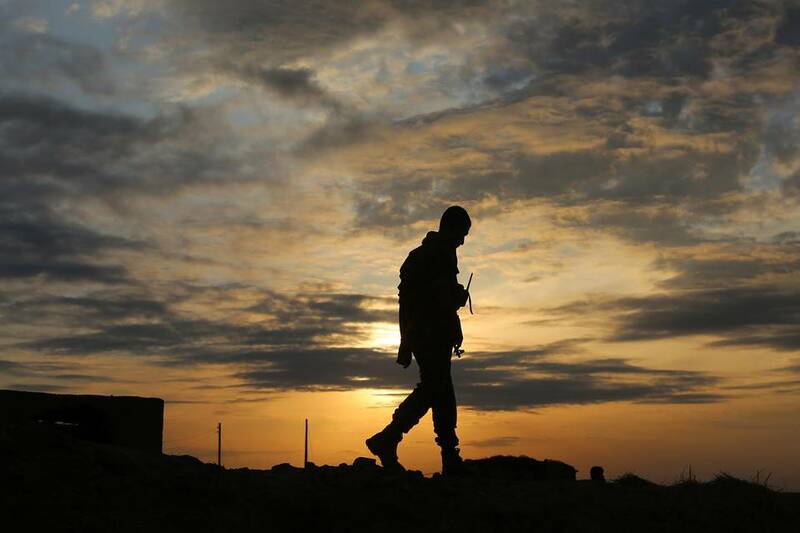 A fighter from the Syrian Democratic Forces monitors the countryside in Syria’s Hasakah province on Nov, 5, 2015. The U.S. says it will boost the pace of its airstrikes against Islamic State in Syria and Iraq in coming weeks. DUBAI—The pace of U.S. airstrikes targeting Islamic State in Syria and Iraq is set to increase after a period of several weeks in which attacks slowed, said a senior U.S. military official in the Middle East. The increase in raids on Islamic State fighters should unfold over the next few weeks, U.S. Air Force Lt. Gen. Charles Brown Jr. told reporters on the sidelines of the biannual Dubai International Air Chiefs Conference on Saturday. “There was a little bit of a lull,” after a busy July and August, he said. Poor weather and a lack of movement of Islamic State forces on the ground hampered the ability to find and attack targets, he said. CAN KENNAN SHAKE US OUT OF OUR STRATEGIC GROUNDHOG DAY? Since World War II, the United States has entered into many situations with military force from which it has never left. The country still maintains forces in Europe and Japan. 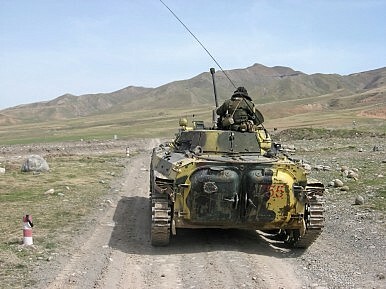 It participates in United Nations peacekeeping missions, one of which started in 1948 and is still ongoing. The United States military continues to be in South Korea (since 1950), Iraq and Afghanistan. 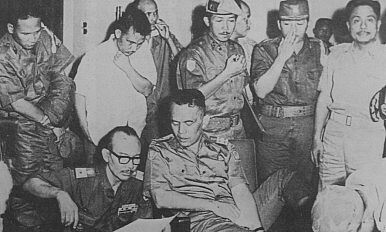 The United States left Vietnam by choice, but not because it gained its national security goals. Now the United States is contemplating entry into Syria and President Obama has just authorized the use of special forces there. The country’s national security seems to be stuck in time. Sure, there is movement around the edges: New tactics, technical capabilities, reorganizations, slogans and buzzwords come and go. But, does anything fundamentally or significantly change? For Phil, Bill Murray’s character in the movie Groundhog Day, the day finally ended when he shifted his preconception about what he thought was important in life. If we follow his lead and change a fundamental preconception about national security, can we break out of our own strategic Groundhog Day? Russia is developing two new types of nuclear submarines to replace its Project 949A Oscar-class and Project 945 Sierra-class vessels. The new vessels are a generation beyond Russia’s Project 955 Borei-class ballistic missile submarine and Project 855M Yasen-class guided-missile submarines, which are originally late Soviet-era designs. The Sierra-class replacement is being designed as an “interceptor” that would protect the Russian nuclear ballistic missile submarine fleet while the Oscar-class replacement would be a guided-missile submarine (SSGN) that would hunt U.S. carrier strike groups like their forbearers. President Barack Obama will meet with Israeli Prime Minister Benjamin Netanyahu at the White House on November 9 after a long period of tension between the two leaders over the controversial nuclear deal with Iran. Netanyahu, who warned that a nuclear-armed Iran would pose an existential threat to Israel, was highly critical of the risky agreement, which he lambasted for paving the way for an Iranian nuclear weapon. The two leaders now need to reset their relationship in a constructive manner and forge a coordinated approach to key regional issues, such as containing Iran’s growing power, defeating terrorist threats, maintaining a favorable balance of power, and defusing rising Israeli–Palestinian tensions. The conflicts in Syria, Iraq and Yemen cannot be resolved unless Iran is at the negotiating table. Army Maj. Frank A. Gleason’s small unit was facing an advancing Japanese army in China in December 1944 when he made a judgment call: Rather than let 50,000 tons of ammunition and weapons fall into enemy hands, they’d blow it all up. The fiery chain reaction of explosions, Gleason recalled, went on for three days. It was a highlight of a long deployment in which Gleason’s unit detonated more than 150 bridges and an assortment of river ferries, locomotives, barracks and weapons stockpiles during one of the great sabotage missions of the World War II. OKINAWA: Apart from rogue hackers, criminal organizations or even state-backed cyberwarfare units, Japan’s businesses and government agencies are facing a unique cybersecurity foe: themselves. Even with the frequency and severity of cyberattacks booming worldwide, efforts by the world’s No. 3 economic power to improve its data security are being hobbled by a widespread corporate culture that views security breaches as a loss of face, leading to poor disclosure of incidents or information sharing at critical moments, Japanese experts and government officials say. Improving cybersecurity practices has emerged as a top national priority for Japan, stung in recent years by embarrassing leaks at Sony Pictures, the national pension fund and its biggest defense contractor, Mitsubishi Heavy Industries, which possibly suffered the theft of submarine and missile designs. Is The United States Prepared For A Massive Cyberattack? No, says broadcast journalist Ted Koppel, in a new book that explains why the Internet is potentially a weapon of mass destruction. The countries most capable of launching a cyber attack on the United States are China and Russia, says Koppel. Here, soldiers from the People’s Liberation Army in Chongqing browse online news. As a child of refugees in London, journalist Ted Koppel witnessed the Blitz.Traveling the world as one of America’s most distinguished television reporters, he lived through the Cold War and witnessed combat up close from Vietnam to Iraq. In his new book, Lights Out: A Cyberattack, A Nation Unprepared, Surviving The Aftermath, he argues that the threat posed by cyber warfare is more complicated to defend against and potentially more deadly than traditional warfare, and that we are absolutely unprepared for it. The Defense Department's acquisition chief is targeting the integration of cybersecurity into military acquisition, recently issuing new guidance that revises existing policies and emphasizes information assurance and systems resiliency. The new guidance, issued by Under Secretary of Defense for Acquisition, Technology and Logistics Frank Kendall, underscores previous efforts aimed at maintaining technological superiority and shoring up cybersecurity in military weapons systems, including the most recent iteration of Better Buying Power. "A vital aspect of maintaining U.S. technological superiority and military readiness is ensuring the cybersecurity of our information technology systems, weapon systems and networks. Program managers must assume that the system they field, including their external interfaces, will be under attack," Kendall wrote in an Oct. 30 memo prefacing the new guidance. "To be cost-effective, cybersecurity must be addressed early within acquisition and be thoughtfully integrated with systems engineering, test and evaluation and other acquisition processes throughout the system lifecycle." The two gentlemen were the co-chairs of a Blue Ribbon Study Panel on Biodefense, which included four other prominent members and a host of nationally recognized medical experts. Congress did not direct the formation of this commission. Rather, it was sponsored by two think tanks and financially supported by a number of firms, to include several biotech and pharmaceutical companies. The report contains 33 recommendations with about 100 action items to fix existing governmental biodefense efforts. The U.S. Air Force’s fleet of more than 200 veteran F-15C/D Eagle air superiority fighters could gain a new, vitally important role in its old age. Twenty-six years after McDonnell Douglas — now part of Boeing — delivered the last single-seat F-15C to the Air Force, the flying branch is adding new sensors, communications gear and potentially weapons options that could extend the type’s operational relevance into the 2030s and beyond … as a heavily-armed “flying arsenal” supporting the stealthy F-22. As recently as 2009, the Air Force had planned to fully replace its then-400 or so air-superiority F-15s with 381 F-22s, but Robert Gates — the defense secretary at the time — opposed spending tens of billions of dollars on high-tech stealth fighters while the military was fighting bloody ground wars in Iraq and Afghanistan. The Defense Department ended F-22 production at 187 plus prototypes, leaving a shortfall in air-superiority fighters that, realistically, only the F-15 could fill. The Air Force began mulling upgrades to keep the twin-engine Eagles war-ready for decades to come. Predictably, Boeing and Lockheed Martin are protesting the U.S. Air Force awarding the Long Range Strike Bomber (LRS-B) contract to Northrop Grumman. Almost everyone in Washington’s national security circles had expected the two companies to protest the award. As the number of new big-ticket Pentagon procurement programs continues to decline, competition to secure a piece of the pie has become increasingly fierce. Inevitably, a losing contractor team willprotest each contract award to the Government Accountability Office (GAO) regardless of whether they have legitimate grounds to do so or not. Reagan set aside the doctrine of mutually assured destruction, and set off an arms race. According to Oxford don Robert Service’s exhaustive study of the collapse of the Soviet Union and the decapitation of world communism, the architect of these events, Ronald Reagan, came to the presidency in 1981 with three objectives in mind: to restore the confidence of the American nation after the debacle of the Vietnam War; to re-establish the political, moral and military pre-eminence of the United States throughout the world; and to make a third world war impossible through the total elimination of nuclear weapons. These were not modest goals, and few of Reagan’s detractors at home or abroad, including elements of his own party, believed that the lightly regarded new president was capable of conceiving them, let alone achieving them. Toward the beginning of “The End of the Cold War,” Mr. Service summarizes the thinking in the Kremlin: “Reagan seemed like an ignorant old fool whose simplistic militarism” might well bring about the holocaust he feared.